The Ledwave NIGHTSTORM II was designed for professionals and hunters who expect Best of the Best. 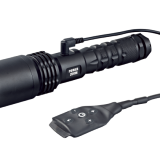 This revolutionary breed of tactical illumination products, combines a high intensity output White LED and a high-out Infra-Red LED in one sealed unit, having both emitters integrated into one assembly means you can switch between White and Infra-Red output with a quick twist of the bezel no filter to manipulate, carry, break or lose. 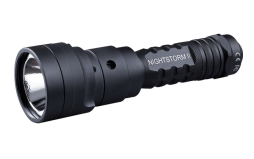 The Nightstorm II is unleashed, TACTICAL illumination will never be the same. The Ledwave NIGHTSTORM II was designed for professionals and hunters who expect Best of the Best. 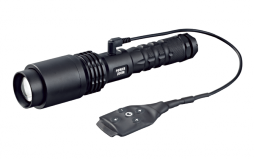 This revolutionary breed of tactical illumination products, combines a high intensity output White LED and a high-out Infra-Red LED in one sealed unit, having both emitters integrated into one assembly means you can switch between White, Green and Infra-Red output with a quick twist of the bezel no filter to manipulate, carry, break or lose. 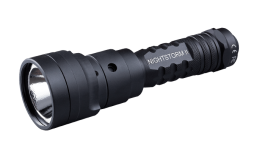 The Nightstorm II is unleashed, TACTICAL illumination will never be the same. The Ledwave NIGHTSTORM II was designed for professionals and hunters who expect Best of the Best. 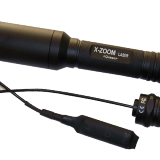 This revolutionary breed of tactical illumination products, combines a high intensity output White LED and a high-out Infra-Red LED in one sealed unit, having both emitters integrated into one assembly means you can switch between White, Red and Infra-Red output with a quick twist of the bezel no filter to manipulate, carry, break or lose. 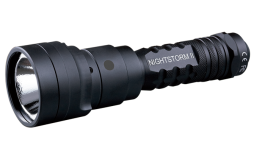 The Nightstorm II is unleashed, TACTICAL illumination will never be the same.